This is my Cheer Up Chocolate gift from Shake. I deserve all this because I had a crappy day today. To start, Shake left early for work. That wasn’t the crappy part. This was: My car wouldn’t start. I got the engine to almost catch and stomped the gas hard. Vroom. Phew. Normally, this is the point when we take off in Shake’s car and head to work. Of course, Shake was already gone. On the plus side: he left his car. On the minus side: I had to walk home in the hot sun (yuck; at least I wore my “sensible” shoes today) to get that car. Sigh. Halfway through the day, the really crappy part: the mechanic calls. As he had feared, it’s an expensive part. About $450. So, that’s two Epiphanie bags or a substantial part of a spiffy new camera lens. Double sigh. So I needed some cheering up. Enter Shake and his “cheer up chocolate” gift. Yay! Best hubby ever. 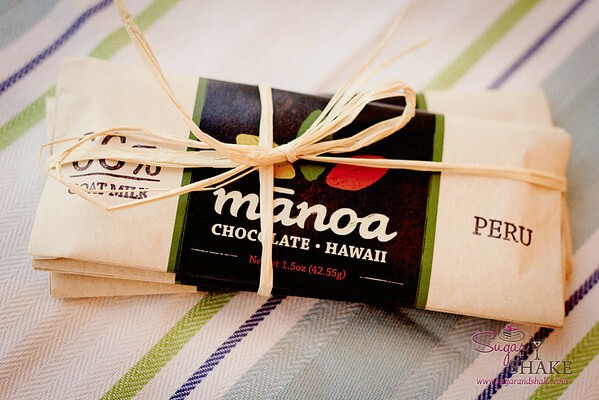 While on his photo shoot today, he visited a new boutique chocolate company, Mānoa Chocolate. They’re three weeks old. And they make awesome chocolate. 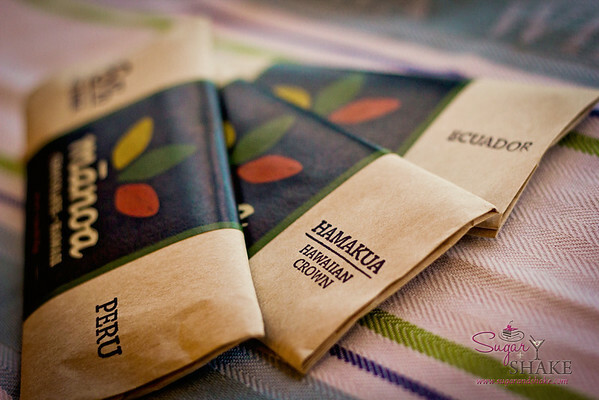 I’m nibbling on the 85% Ecuadoran dark chocolate bar now. It’s got that fantastic bittersweet chocolate taste—like chocolate-y berries. More later, after I’ve consumed all this chocolate to sweeten my mood.